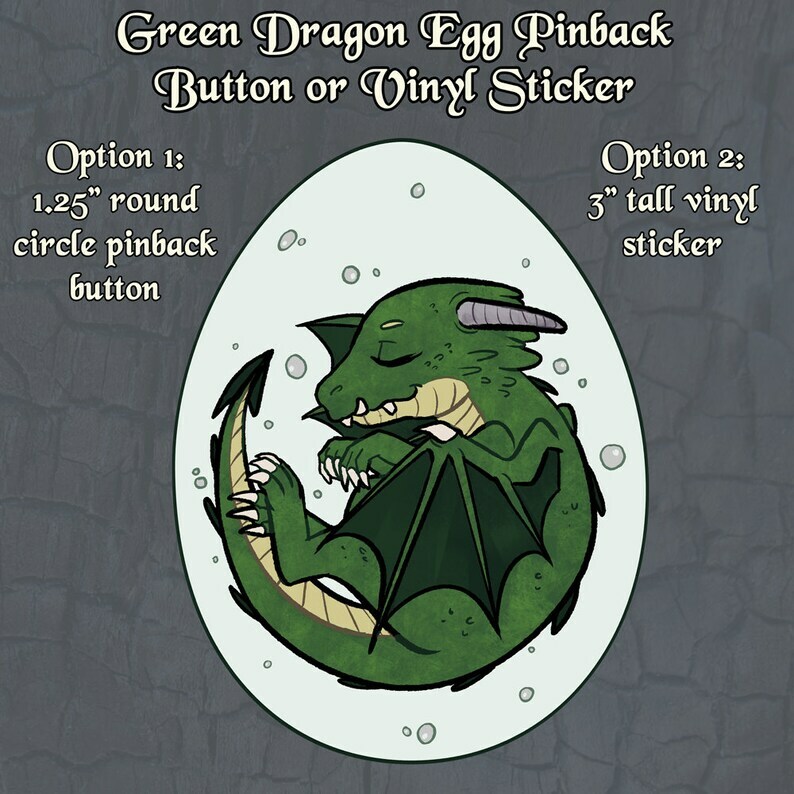 These formidable dragons come in a variety of colors and types, and now they can be stuck to any surface! From Dungeons and Dragons campaign notes to your daily planner, these stickers come ready to use! Take care of it now, it's still sleeping and growing inside its egg! The pinback button is 1.25" and round, ready for wearing on any fabric surface it can be affixed to.